Phil and I were eager to go camping in the kayaks before the summer ended, so I set one up for this last Labor Day weekend. I chose Baker Beach, just south of Trinidad. We had plenty of company, because Steve Saunders and some family and friends joined us for the paddle out there. 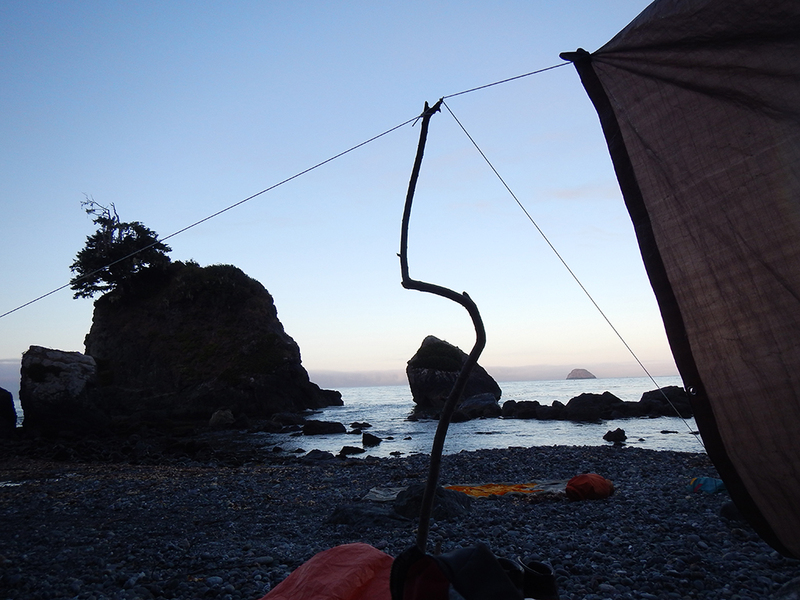 We scouted campsites from offshore and then decided on the very north end of the beach behind “the slot”. 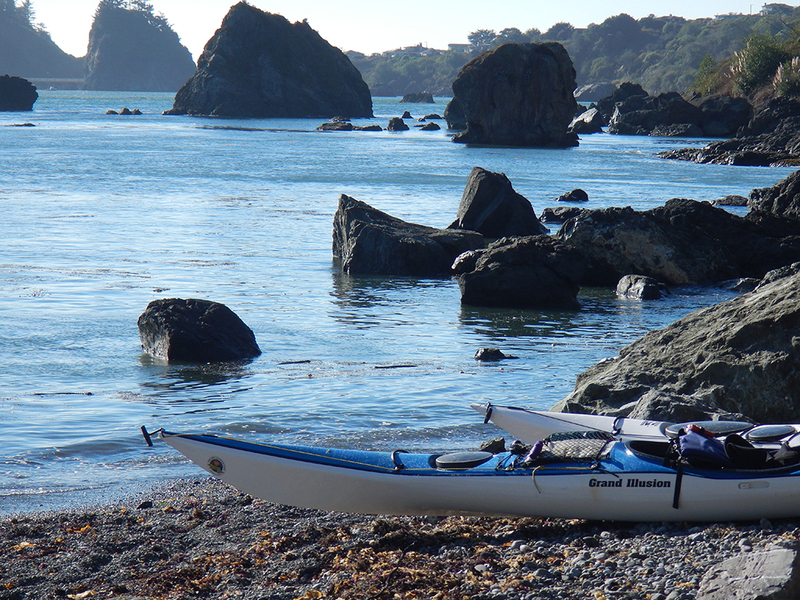 Our fully loaded boats slipped between small rocks as we landed easily on the narrow gravel beach. 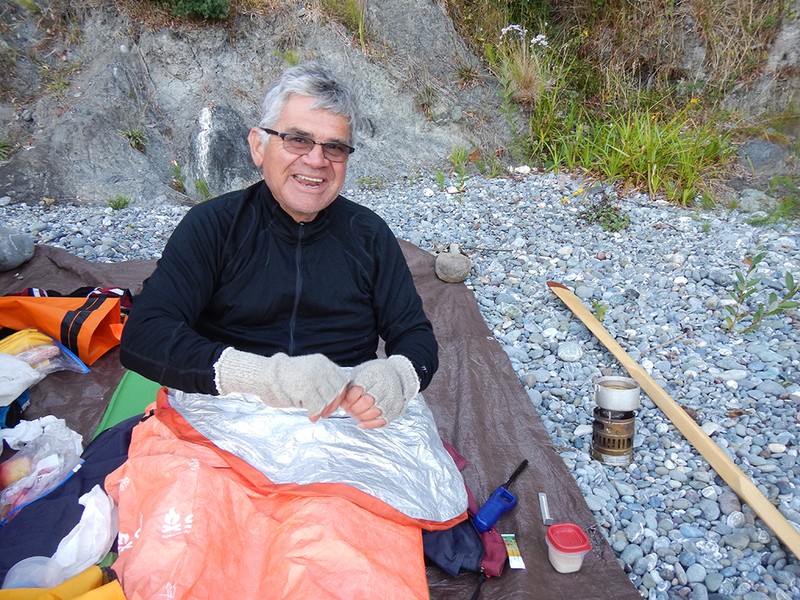 Steve and his friend, Ernie, had brought beer and chips, so we shared lunch with them before they departed for Trinidad. Phil, then, went about devising his sleeping arrangements. 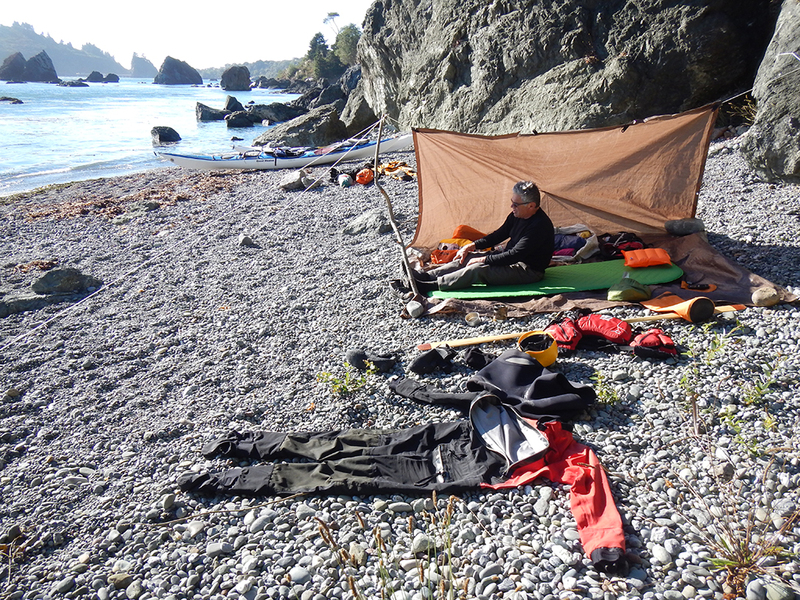 With a tarp he had brought, a couple of sticks for poles, and a few feet of cord, he made himself a windbreak, shade, and a place to sleep. I waited to see the high tide line before deciding on a place to bed down. 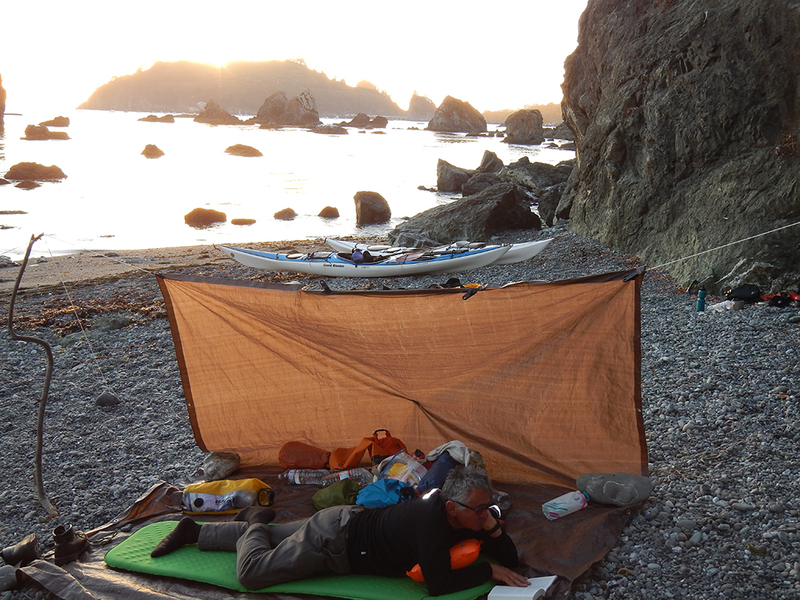 We passed the sunny but windy afternoon by reading, snoozing, gathering firewood, etc. Late in the afternoon we suited up again and took a short paddle up to the slot and out to Little Camel Rock. For dinner, I roasted a dozen oysters over a small fire and chased them with Tang. Phil had the ham sandwich he had skipped at lunch. Just before sundown it cooled off and the wind eased. The sun set behind Trinidad Head and the water was flat. We both slept well. We woke about sunrise, although the sunlight had not touched the far horizon yet.